Amid an increasing number of meetings between State of Law and Iraqiyya, it is interesting that there is increasing debate about the stance of the two sides on an issue that could potentially unite them: Article 140 of the constitution relating to so-called “disputed territories”, including most importantly Kirkuk. Some of this discussion has reflected continued disappointment among Iraqi nationalists about what was perceived as a “soft” (i.e. pro-Kurdish) stance by the State of Law alliance (SLA) headed by Prime Minister Nuri al-Maliki during the debate on the election law last autumn, when their failure to argue for more robust measures against perceived Kurdish heavy-handedness in controlling the elections in Kirkuk was seen as a reversion to the “old politics” of 2005-2007 with Shiites and Kurds united in an ethno-sectarian alliance against Sunnis. However, there are now also growing signs of another – and opposite – trend within State of Law: Attempts to reassure voters that there will be no “sell-out” as far as Kirkuk is concerned, which is pretty much what many Iraqiyya politicians also demand. One example of this is Sadiq al-Kaabi of State of Law, who recently told reporters that SLA would rather be in the opposition than do a bargain on 140. Kaabi, who currently has a leading position at the new Najaf airport, has an interesting background: Like many in Daawa, he spent long years in exile, but instead of staying in Iran, he completed his education in Cairo and Beirut, thus clearly preferring the environment of the Arab world. In the 1990s he lived in Syria (also like Nuri al-Maliki). There is nothing new in this. After all, divisions within the old all-Shiite alliance precisely on issues like 140 and Kirkuk were instrumental in bringing about its demise, with Fadila and Sadrists joining Iraqiyya and Hiwar in the 22 July front, and with Maliki adopting many items on the 22 July agenda when he eventually chose to challenge the more pro-Kurdish ISCI in the January 2009 local elections. But it is interesting that these issues should come to the forefront again at this particular time, after de-Baathification had threatened to kill any prospects of the kind of inter-sectarian alliances based on Iraqi nationalism that were seen in 2008 and 2009. 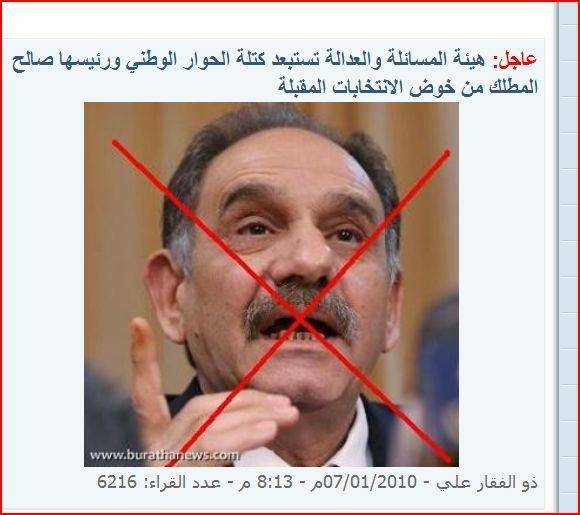 The exact details of the relevant communications last week between the Iraqi federal supreme court, the election commission (IHEC) and the leadership of the tentative new Shiite alliance (signed by Khalid al-Atiyya) have been slow to emerge, but a number of secondary sources now seem to confirm the same kind of picture. 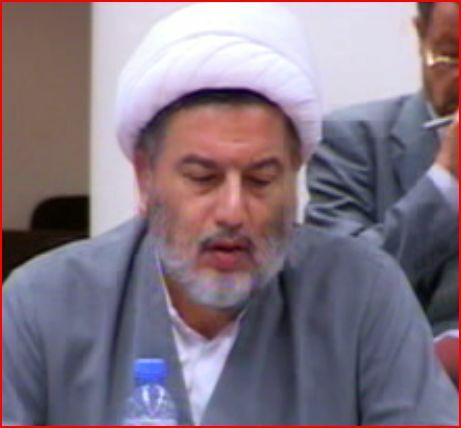 What essentially happened was that around the time of the opening of the Iraqi parliament on 14 June, leaders of the Shiite alliance project sent a letter to the federal supreme court “informing it” about the status of the Shiite alliance as the largest bloc in parliament (and hence, supposedly, the rightful supplier of a candidate to head the next Iraqi government). The court refused to even receive the letter, reportedly referring the Shiite leaders to IHEC instead. IHEC in turn replied that it was nothing it could do since the deadline for forming coalitions had expired long ago. 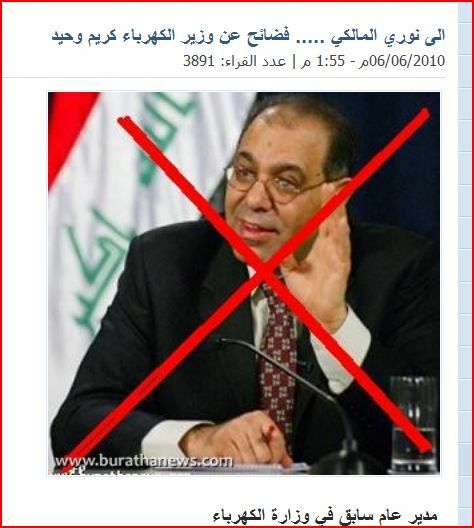 The latest twist in the saga is that Khalid Atiyya, a former deputy speaker of parliament and a proponent of the new alliance, has published a lengthy account of his interpretation of the affair on the Iraqi parliament website, as if he were still in office and owned the place! This remarkable sequence of events speaks volumes about the immature state of the Iraqi political process. In the first place, it was childish of the Shiite leaders to send a letter to the federal supreme court, since no legal certification procedure for political entities involving that court exists. Their request really had the character of a confused player desperately seeking some kind of almighty intervention: with no direct access to divine power, the federal supreme court apparently came across as a second best option. But the court, for its part, committed a mistake too. By reportedly directing the Shiite leaders to IHEC, they ignored the fact that parliamentary blocs (kutal) is simply a commodity in which IHEC does not do business. IHEC deals with electoral lists (qawa’im) and electoral coalitions (ittilafat) but the term “bloc” does not appear in its laws and regulations and vocabulary more generally, and its negative reply should have been anticipated both by the politicians and the judges. This chaos in turn relates to the fact that bloc formation simply is not covered by any existing piece of legislation beyond the reference in article 76 of the constitution. In particular, its absence in the parliamentary bylaws adopted in 2006 is a striking omission: Here it is only mentioned en passant, although it is established that a bloc at least requires a leader or ra’is. In fact, all we have to go by with respect to blocs is past practice in the period 2006-2010. So, just to recap, the original line-up of the Iraqi parliament as it convened in March 2006 consisted of 12 electoral lists that all transformed themselves into parliamentary blocs: UIA (128), KA (53), Tawafuq (44), Iraqiyya (25), Hiwar (11), Islamic Kurdistan (5), Musaliha wa Hiwar (3), Risaliyun (2), Mithal Alusi (1), Turkmen Front (1), Rafidayn (1) and Yazidis (1). When the parliamentary term expired four years later in February 2010, the map of blocs had changed considerably, with the total number now increased to 16: UIA (85), KA (53), Tawafuq (40), Sadrists (28), Iraqiyya (19), Fadila (15), Hiwar (9), Arab Independent Bloc (8), Islamic Kurdistan (5), Independents (4), Risaliyun (2), ICP (2), Alusi (1), Turkmen Front (1), Yazidis (1), Rafidayn (1). The key point with regard to bloc formation precedents is that this process of disintegration (which has been the more common) and agglutination (seen more infrequently, for example in the case of the Arab Independent Bloc) has taken place without any reference to any law or authorising bodies whatsoever. So, when Iraqiyya leaders like Aliya Nusayf claim that in view of the latest communications from the federal supreme court and IHEC the door has now been “closed” for the Shiite coalition in legal terms, that is really besides the point. There is no legal mechanism for “certifying” the biggest bloc, period. At the end of the day, this is a question of interpretation and the only way to win the debate is for a bloc to obtain parliamentary support for a presidential candidate willing to declare it to be the biggest. With that president will ultimately rest the greater responsibility to the Iraqi electorate in terms of interpreting the result of the 7 March elections in a manner that does justice to the concept of democracy in Iraq. A good indication of the state of affairs of Iraqi politics is the absence of a single, official list of the 325 deputies that were supposed to be present at today’s opening of the second Iraqi parliament after the adoption of the new constitution in 2005. True, there is a list of new deputies at the parliament website, but it is not the updated list after all the changes to the certification of candidates that took place in April and May. Rather, these are just copies of the provisional results released by the Iraqi election commission (IHEC) in late March, and as such they contain several errors. 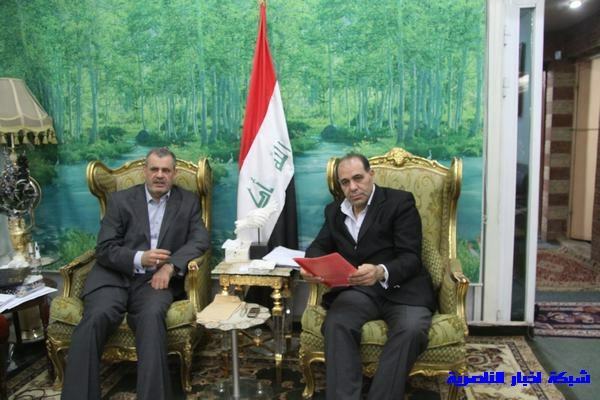 Most notably, they erroneously list two Iraqiyya deputies in Diyala, Abdallah al-Jibburi and Najm al-Harbi, who have been disqualified for legal reasons (criminal cases) and replaced by others from their list (reportedly Muhammad Uthman al-Khalidi and Hassan Sulayman al-Bayati of the Nujayfi bloc and the Turkmen front within Iraqiyya respectively)… Full story here. The list shows striking similarities with the previous list of 10 men, in particular as far as the SLA contingent is concerned. There is continuity among the strong Daawa group, with additions of two representatives of the numerically insignificant (6 deputies in parliament in total) group of independents. Within INA, the Sadrists are now better represented whereas INC (Chalabi) has been excluded. It is not very surprising therefore, that a second unconstitutional solution to the premier question – on top of the one already proposed by Ammar al-Hakim – is being discussed in these circles: A scheme in which three deputies would share the premiership! This is of course just as illegal and constitutionally subversive as the Hakim scheme in that they both attack one of the few remaining majoritarian features of the otherwise highly consociational Iraqi constitution – article 76. The committee of wise men is supposed to meet tonight, but so are, reportedly, also Nuri al-Maliki and Ayad Allawi! Yesterday’s “merger” between the two main Shiite-led lists in Iraq, State of Law (SLA) and the Iraqi National Alliance (INA) was in itself not terribly interesting. After all, exactly the same thing took place some weeks ago, except that it did not quite work out and the parties continued to quarrel about key issues – most importantly the question of who should be the premier candidate of the resultant super-bloc. The only difference this time is that there is a new name: The National Alliance. The name is about as uninspiring as one can get it, since 9 out of 10 Iraqi parties already call themselves something similar. It is noteworthy though that the innovation of the “State of Law” concept lost out in the process, highlighting the return to sectarian politics in which issues count for nothing and where everyone makes tongue-in-cheek appeals to the idea of nationalism. So far, the only thing the new Shiite bloc seem able to agree on is the fact that they consider themselves “the biggest”. Some will perhaps think this sounds sweet, but it is in fact deeply unconstitutional. No matter what one thinks of the part of article 76 of the constitution that deals with specifying the biggest bloc (and where there is some real ambiguity), the requirement for “one candidate” in the singular is 100 per cent unequivocal. If the new Shiite alliance cannot agree on a single candidate then they cannot fulfil the constitutional requirement and hence cannot come into consideration as the biggest bloc, no matter how many deputies they are. A kutla without a single premier candidate is not a kutla in the Iraqi definition of the right to form the government, period. This latest move follows previous attempts by ISCI to circumvent article 76 altogether. Their reasons for doing so are obvious: With 70 seats (most of which are actually occupied by Sadrists) INA can never hope to be the biggest bloc alone, and although they have been pressing for the alliance with SLA to get round that problem, they seem to face chronic difficulties with getting rid of Nuri al-Maliki as the premier candidate for the new alliance. Their first strategy was to call for a “roundtable” to discuss the next government, where all the winning blocs would take part. This played well with the international community but it is of course a blatant attempt by a medium-sized bloc to dilute article 76 of the constitution which establishes priority for the biggest bloc. And now there is this second attempt which effectively involves dismantling article 76 even further, since the rest of the parliament is not supposed to have a say in the selection of the premier candidate at all. Alas, this kind of unconstitutional move is likely to meet with an enthusiastic reception in the international community – and mainly in the UN agency in Baghdad (UNAMI) and the Obama administration (which is concerned primarily with timetables and also doesn’t dislike the idea of a premiership by Adel Abd al-Mahdi of ISCI). During his recent visit to Washington, Ad Melkert of UNAMI in fact specifically encouraged this kind of approach, disregarding procedure and looking at the end goal instead (and also openly suggesting that agreeing on a political programme was secondary to solving the puzzle of who should be in the government!) But it is high time Iraqiyya realises that through this move their “friends” and supposed “partners” in INA intend to deprive both Iraqiyya and SLA of the premiership and thereby reduce them to partners in a weak and oversized government where every party is invited to colonise a couple of ministries each to keep for their personal enjoyment. It is deeply ironic that all of this should coincide with the first real, high-level meeting between Iraqiyya and State of Law, which also went ahead at the Daawa headquarters in Baghdad yesterday. The people involved were pretty senior: Sunayd, Saadi, Askari, Atiyya and Rikabi from State of Law; Eisawi, Nujayfi, Muhammad Allawi, Shaalan and others from Iraqiyya. One wonders whether it ever occurred to the two sides that if they could just make friends with each other, they have the numbers to rule Iraq independently of Tehran and Washington, and with no need to placate Sadr, the Hakims, the Barzanis and the Talabanis. On the eve of the first meeting of the Iraqi parliament (scheduled for next Monday) and amid frantic attempts by some Shiite leaders to unify their two blocs more effectively, the interpretation of article 76 of the constitution on the selection of the premier candidate has assumed renewed relevance. 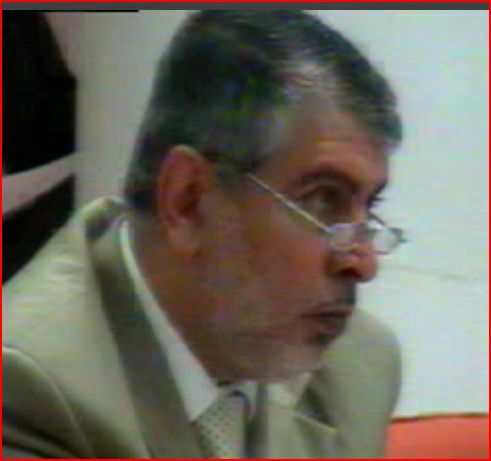 In particular, after having been confined to rumours and contradictive press reports since the middle of May, pieces of evidence relating to the constitutional drafting process in 2005 have recently been circulated in the shape of a video snip from the fourteenth meeting of the constitutional committee on 25 July 2005, and some of this material has been published by the television station Al-Sharqiya. The brief video snip shows an altercation during a meeting in the constitutional committee mainly between Sami al-Askari (of Daawa) and Humam Hamudi (of ISCI, the committee chairman). There is also a third person involved mostly outside the view of the camera, possibly Nadim al-Jabiri (of Fadila) who appears at the very end of the snip. Most significantly with respect to the debate about the interpretation of article 76, there is reference to a report of a previous meeting which according to two of the three men states that the right to form the next government should be “according to the electoral achievements” (hasab al-istihqaq al-intikhabi), which would confirm the interpretation favoured by Iraqiyya of disallowing post-election super-alliances of electoral blocs for the purpose of supplying the premier candidate. Hamudi protests, but not very effectively at first. He interjects and says, “hasab al-istihqaq al-intikhabi al-niyabi” or “according to the electoral parliamentary achievements”. Seen in isolation this does not mean a big difference and would just refer to the distinction between percentages of the vote and the percentage of seats actually achieved, and as such also in conformity with the current Iraqiyya position. However, Hamudi muddles the situation by referring to the existence of “two views” on defining the right to form the government (alas the Nokia tune corrupts his attempt at clarifying this! ), and also mentions the term “parliamentary bloc” (kutla niyabiyya), which is indeed the language that ended up being used in the constitution. The video ends without any conclusion to the debate. The context in which this information emerged is in itself interesting. Sami al-Askari raised the question in relation to the scenario of a second premier candidate, in case of the failure of the first. There is discussion whether the second candidate should come from the same bloc that was given the first attempt, or another one – obviously this is where the point about clarifying “electoral achievements” becomes particularly important. Again, though, and often overlooked, the final version of the constitution in fact remains mute on this question and really places all power for selecting the second candidate with the president. The only requirement, actually, is that he should be a “different” candidate from the first, i.e. he could be any eligible Iraqi (same requiements as for president except a minimum age set at 35 years and a college degree etc. ), and strictly speaking does not even have to belong to any of the parties in parliament. Nonetheless, some Iraqi politicians today still seem to believe that the right to be the second premier candidate belongs to the second biggest bloc in parliament. 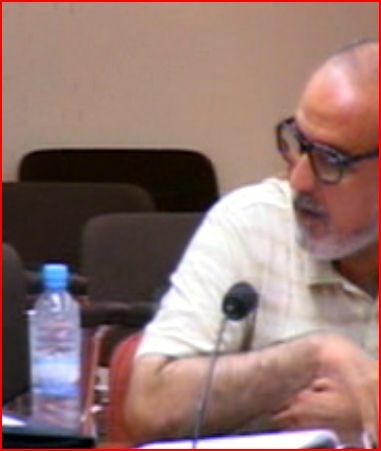 On the whole, the video provides an important indication that these issues had been thought about in 2005, and that many Shiite Islamist members of the constitutional committee advocated the view that is now being promoted by Iraqiyya, to the point where this at one point was reflected in a written report. Clearly, it would be helpful if a copy of that report were put in the public domain too. On the other hand, though, it has to be remembered that many of the most catastrophic parts of the constitution were not really authored until the subsequent month of August (this was when the Kurds brought in people like Peter Galbraith to consult on matters relating to federalism). Against that backdrop, the video of the 25 July meeting is primarily a testament to an ongoing dispute at an early point of the constitutional drafting process rather than a definitive and unequivocal account of the true “intentions of the framers”. Some of the arguments by Iraqiyya leaders these days for a “democratic” right for the biggest bloc to form the next government are persuasive, and in particular the fact that few Iraqi voters were informed that the two Shiite blocs planned a merger. On the other hand, though, the argument that the “biggest electoral bloc” logic is applied universally across the world of democracy is incorrect. It is used in many democracies but not everywhere; for example in the UK one possible scenario after the recent election was that of the second biggest bloc (Labour) outperforming the Conservatives in negotiations with the Liberals and thereby staying in power. In the kind of confused situation Iraq is facing today, probably the best thing for Iraqiyya to do in coming days and weeks is to focus their energies on actual attempts at coalition building first and foremost. In his latest Friday prayer in Nasiriyya, Muhammad Mahdi al-Nasiri, a seat winner for State of Law (SLA) in the parliamentary election in Dhi Qar, gave some indication about troublesome tendencies of sectarianism inside a bloc that at times has attempted to portray itself as more national than the other Shiite-led coalition, the Iraqi National Alliance (INA). The speech is a clear attempt at delegitimizing a premiership by Ayad Allawi, who is Shiite but comes from a different party than Nasiri, the secular Iraqiyya. It is also deeply flawed in terms of its claims to historical knowledge. It is true that the British were reluctant about giving power to Shiite ministers in the 1920s, when in long periods only the education minister was Shiite. However, direct British influence had declined considerably when in the 1940s Shiite premiers began emerging, and it would be highly reductionist to see the appointment of men like Salih Jabr, Muhammad al-Sadr, Fadel al-Jamali and Abd al-Wahhab Mirjan as mere reflections of British diktats. Even more of a far stretch is of course the suggestion about continuity from the British policy of the 1920s to that of Saddam Hussein in the 1990s. But then again, it seems that both the law and history are cheerfully being ignored in today’s Iraq, and without any effective protest being heard.